Despite a fabled team-up of Max Webster and Rush on the song "Battlescar", 1980's 'Universal Juveniles' had a noticeable absence of that trademark Watkinson keyboard sound and the band was falling apart from constant touring in towns where feverish fans were unable to purchase the band's records - especially stateside. The lack of promotion and poor management organization is sited as the cause for Kim Mitchell's resignation during a tour with Rush in April 1981. With this the band split up but they had actually been close to hitting the big time, so Anthem capitalized with a posthumous greatest hits package called 'Diamonds, Diamonds'. 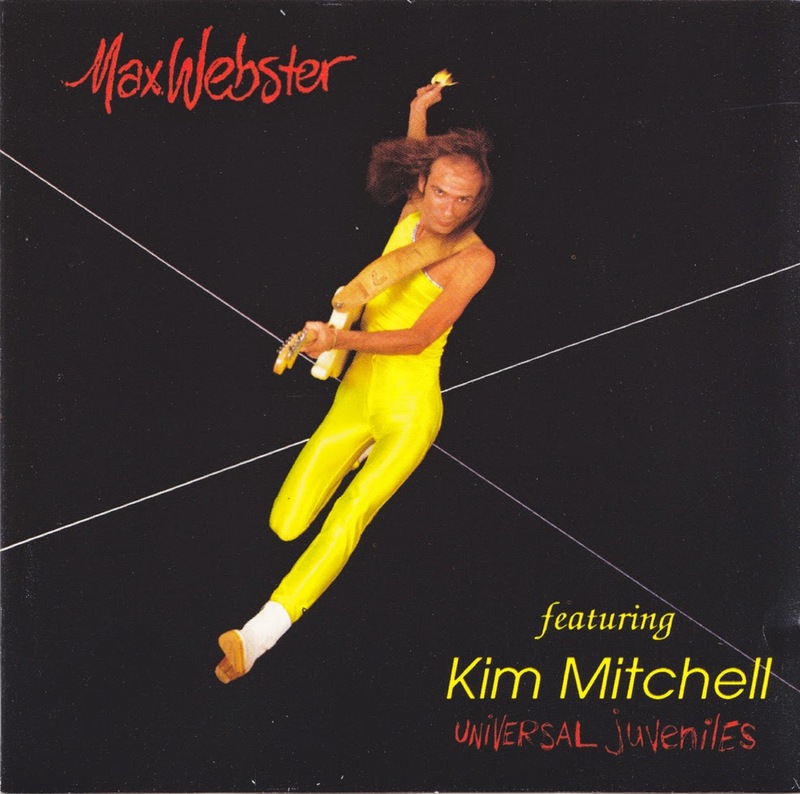 Mitchell went on to a very successful solo career, but the continued cult status of Max Webster, particularly in Ontario, prompted Mitchell, Watkinson, McCracken, and Tilka to reunite in 1990. Their first performance was a short set at the Toronto Music Awards that year to 3000 hysterical fans who refused to pay attention to the awards given out after their set, continuing to chant "Max! Max! Max!" for the rest of the night. 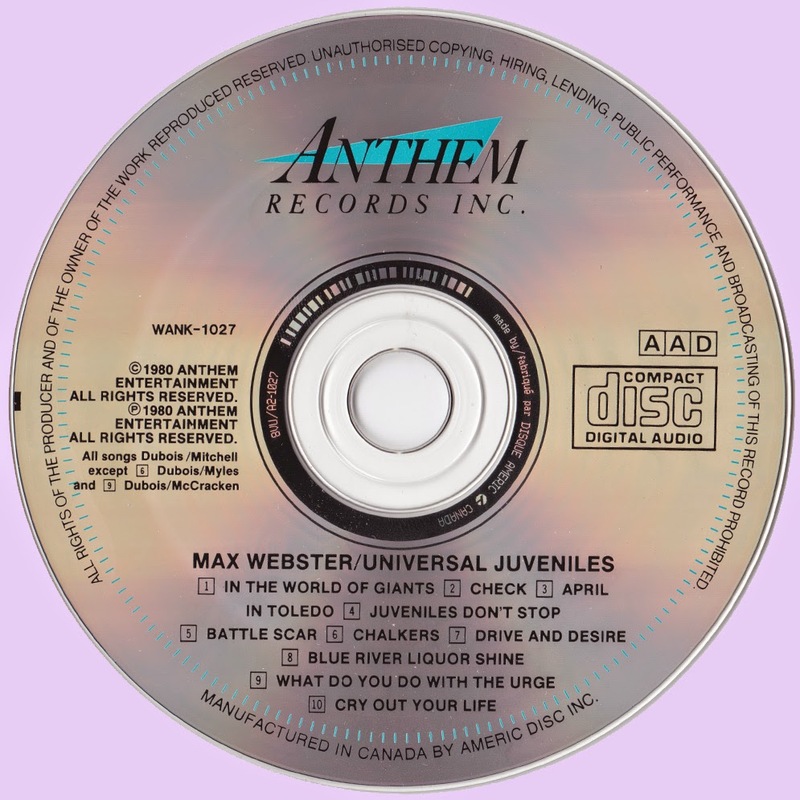 Anthem capitalized on the new-found Max fervour by releasing another best of package that year. Delighted with this response, the four musicians continued to do one-off dates around Ontario as Max Webster well into the late 1990's with Kim Mitchell Band bassist Peter Fredette filling in for Tilka. In 2007, Mitchell, Tilka, McCracken and Watkinson reunited yet again for Toronto radio station Q107's 30th Anniversary bash along with David Wilcox, Goddo, Sass Jordan and Alannah Myles. The event was filmed but has yet to be released. different from their others. way heavier. really cooks. my fave, need i say.